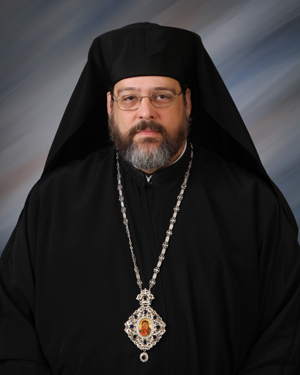 His Grace, Bishop Gregory of Nyssa, is the spirtual leader of the American Carpatho-Russian Orthodox Diocese, which maintains offices at 312 Garfield Street, Johnstown, Pennsylvania, 15906. His Grace, Bishop Gregory was consecrated as Bishop and enthroned as the Ruling Hierarch of the American Carpatho-Russian Orthodox Diocese of the USA on November 27, 2012. His Grace celebrates his Name's Day (St. Gregory Palamas) on November 14/27. Under His Grace's care is our Diocesan Christ the Saviour Seminary, also in Johnstown, Pennsylvania, which trains future priests and deacons of our Diocese. In addition, the Diocese maintains Camp Nazareth Youth and Retreat Center in Mercer, Pennsylvania. Bishop Gregory also serves as Episcopal Liaison to the Orthodox Christian Fellowship and Chairman of Committee for Agencies and Endorsed Organizations of the Assembly of Canonical Orthodox Bishops of the United States of America. Very Rev. R. Michael Zak has served St. Nicholas Parish since 2014. He was ordained as a priest on April 30, 1972 by His Grace, Bishop John of the American Carpatho-Russian Orthodox Diocese of the U.S.A. He was elevated to the rank of Very Reverend in 1995 by His Eminence, Metropolitan Nicholas. Fr. Michael has previously served parishes in Washington, D.C., Warren, Ohio, Hawk Run, PA, East Chicago, Indiana, Clymer, PA and North Side Pittsburgh, PA, as well as serving as Director of Camp Nazareth from 1990 to 2003. He previously served as the National Junior A.C.R.Y. Spiritual Advisor for 8 years.